The adidas Originals Samba trainer was introduced in 1962 as the first soccer training shoe developed for frozen pitches. 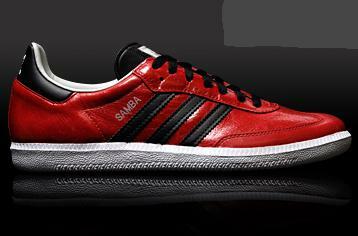 The adidas Samba holds its position as an iconic sports and fashion shoe. Adidas Top Sala X - Last Pair! Adidas Super Sala IX - Last Pair!